NYT: Trump “Helped His Family Dodge Taxes”… Soooo, Like Other Billionaires Then? The newspaper, citing extensive details, reports that some of Mr Trump’s wealth was obtained illegally, saying: "Much of this money came to Mr Trump because he helped his parents dodge taxes. He and his siblings set up a sham corporation to disguise millions of dollars in gifts from their parents." The paper furthermore alleges that the current US President "helped his father take improper tax deductions worth millions more". According to the publication, Mr Trump aided his parents by cutting their tax bill through a strategy that undervalues the family’s property assets by hundreds of millions of dollars. White House spokeswoman Ms Sarah Sanders reacted as first, calling the story "misleading" and saying in a prepared statement that "many decades ago the IRS reviewed and signed off on these transactions." As a result of the reporting, New York City Mayor Mr Bill de Blasio stated that he has "directed NYC's Department of Finance to immediately investigate tax and housing violations and to work with NY State to find out if appropriate taxes were paid." Although US President Trump has not yet reacted to the claims, his lawyer Charles Harder said in a statement: "There was no fraud or tax evasion by anyone. The facts upon which The Times bases its false allegations are extremely inaccurate." 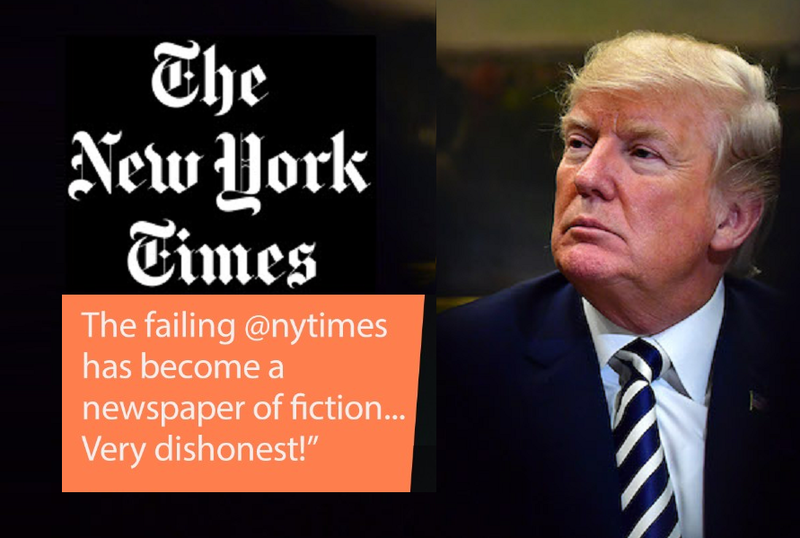 The New York Times and President Donald Trump have a long history of showing contempt towards each other, with the US President claiming that the publication (together with CNN) is at the top of ‘fake news’ and the Times being known for having supported Democratic candidate Ms Clinton till the very last day before the election in 2016 (when their online poll showed the chance or her winning to be in the 90 percent range). Furthermore, The New York Times should have looked across the pond towards the ‘Old Continent’ of Europe. Over here, the tax avoidance scheme by billionaires is nothing news. Over in France, the man currently ranked as the fifth richest on the planet on the Forbes list, Mr Bernard Arnault (Chairman and CEO of LVMH Moet Hennessy Louis Vuitton), moved from France to Belgium to avoid having to pay inheritance tax for his family should he come to pass, saving him hundreds of millions of Euros in tax. Inheritance tax in Belgium is only 3% compared with 11% in France, and Belgium has no wealth tax, unlike France. In fact, the list of billionaires that has done similar moves is very long as a simple Google search will show. We have no doubt that The New York Times will quickly rectify this reporting. Or wouldn’t they? Bannon warned about it: if GOP loses the House in November, they'll impeach Trump. What part of this is illegal? Look into the Bloomberg family and all the other billionaires and you'll find the same thing. It called protecting your assets.